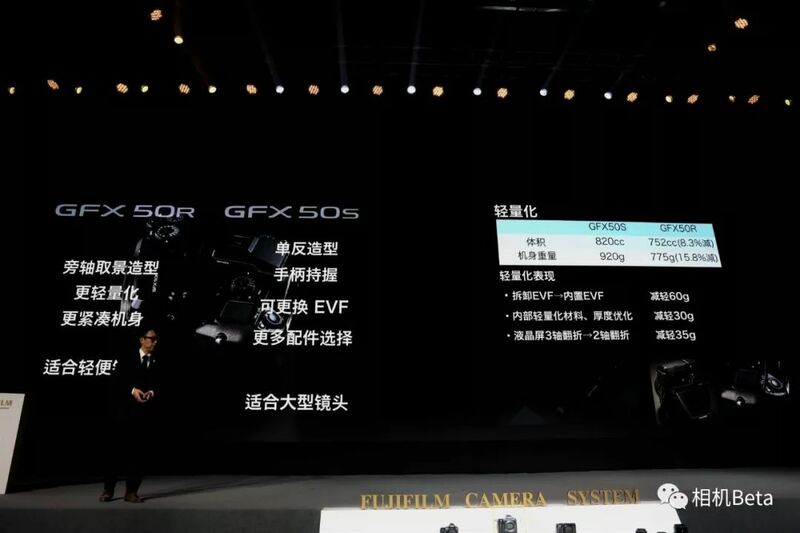 Fujifilm added some information to their Fujifilm GFX50R presentation about a future firmware update that is coming could be of interest to GFX owners. 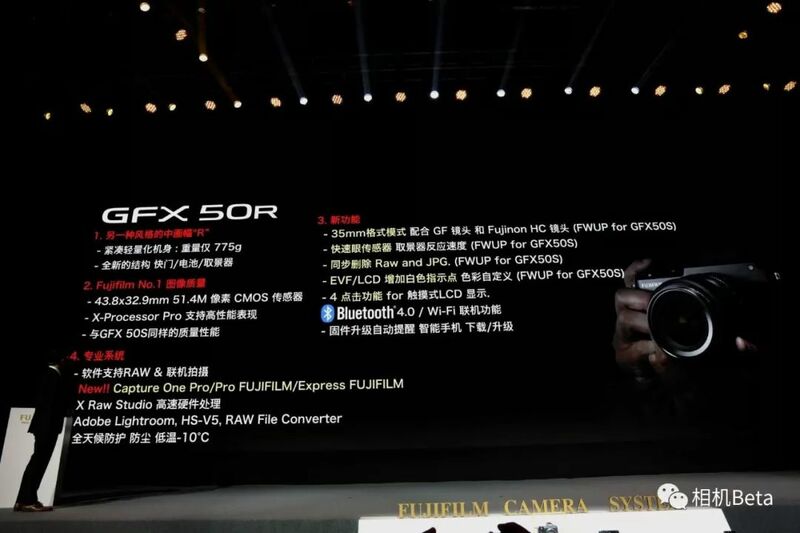 They also have some already known information about the new Fujinon GF 100-200mm f/5.6 RLM OIS WR, Fujinon GF 45-100mm f/4 R LM OIS WR, and Fujinon GF 50mm f/3.5 LM WR along with the Fujifilm GFX100S. This entry was posted in Fujifilm GFX, Fujifilm GFX 100S, Fujifilm GFX 50R, Fujifilm GFX 50S and tagged Fuji GFX, Fuji GFX 100, Fuji GFX 100M, Fuji GFX 100R, Fuji GFX 100S, Fuji GFX 50R, Fuji GFX 50S, Fuji GFX100, Fuji GFX100M, Fuji GFX100R, Fuji GFX100S, Fuji GFX50R, Fuji GFX50S, Fuji Rumors, Fujifilm, Fujifilm GF 100-200mm f/5.6 R LM OIS WR, Fujifilm GF 45-100mm f/4 R LM OIS WR, Fujifilm GF 50mm f/3.5 LM WR, Fujifilm GFX, Fujifilm GFX 100, Fujifilm GFX 100M, Fujifilm GFX 100R, Fujifilm GFX 100S, Fujifilm GFX 50R, Fujifilm GFX 50S, Fujifilm GFX100, Fujifilm GFX100M, Fujifilm GFX100R, Fujifilm GFX100S, Fujifilm GFX50R, Fujifilm GFX50S, Fujifilm Rumors, FujifilmRumors, Fujinon GF 100-200mm f/5.6 R LM OIS WR, Fujinon GF 45-100mm, Fujinon GF 45-100mm f/4 R LM OIS WR, Fujinon GF 50mm f/3.5 LM WR, Fujinon GF100-200mm Fujinon GF50mm, Fujirumors, GF 1.4 TC, GF 1.4x Teleconverter, GF 100-200mm f/5.6 R LM OIS WR, GF 45-100mm f/4 R LM OIS WR, GF 50mm f/3.5 LM WR GFX, GFX, GFX 100, GFX 100M, GFX 100R, GFX 100S, GFX 50R, GFX 50S, GFX 50s GFX100, GFX100M, GFX100R, GFX100S, GFX50R, GFX50S, Medium Format, Super Full Frame. Bookmark the permalink. Trackbacks are closed, but you can post a comment.